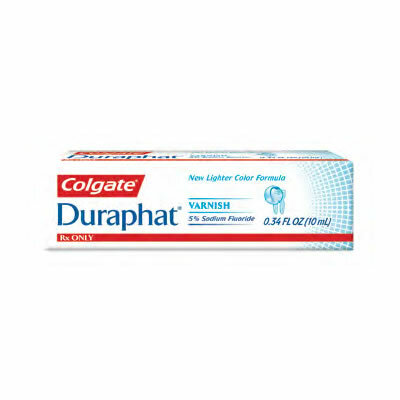 Colgate Duraphat varnish contains 5% sodium fluoride and provides immediate and long-lasting relief from dentin hypersensitivity. Duraphat varnish sets rapidly in contact with saliva, resulting in patient comfort and acceptance. The quick and easy tube application allows for controlled dosing. In addition, it tastes good and dries clear on teeth. Effective and fast acting ,easy to utilize. Relieves patient symptoms quickly. You can use exactly the amount you need so mo waste. Patients do not mind the taste and it goes on easily.